Brian’s passion for the markets and investing began on his tenth birthday, when his dad bought him his first stock. He has devoted his career to helping his clients navigate the world of investment and achieve what is important to them financially. To that end, he assists in building financial plans as well as overseeing investment consulting and management for clients in every phase of their lives. He earned a Bachelor of Business Administration degree from Baylor University, with majors in Finance and Financial Services Planning. 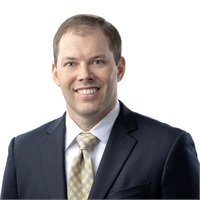 After graduation he worked for an Investment Advisor in Dallas, expanding his knowledge and expertise in trading options before joining Foster Financial Group in 2008. He holds the series 7, 63, and 65 licenses with Ameritas Investment Corp. as well as the Group One Life and Health Insurance License issued by the Texas Department of Insurance. In addition to his abiding fascination with the markets and investing, he is deeply dedicated to his family, his community, and the industry he serves. He volunteers as a teacher for Junior Achievement in Dallas, and he is a member of the Exchange Club of Lake Highlands as well as the Financial Planning Association, where he serves on the membership committee. His leisure time is devoted to his wife, Jacy, and daughters Blakely and Sadie. He enjoys coaching his daughter’s soccer team, golfing, and spending time in the outdoors.